Did you save your child's t-shirts? 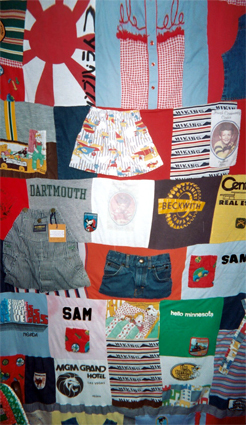 I assemble quilts from family linen, baby clothes, team t-shirts, and uniforms. 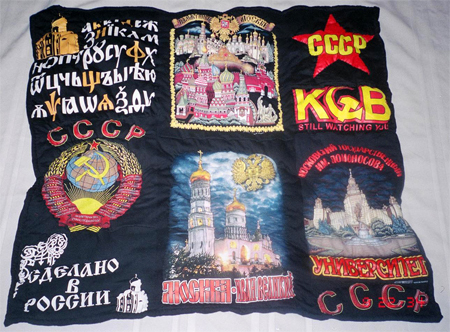 These quilts are favorite gifts to graduates, children and grandchildren. Your favorite T-shirts become a memory quilt. 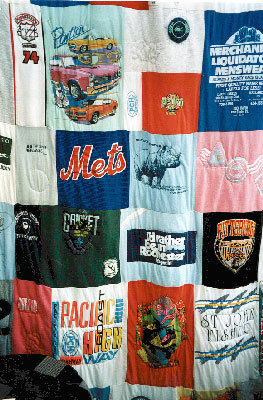 Smaller quilts can be used as sofa throws. I sew a sleeve on the back for easy hanging. 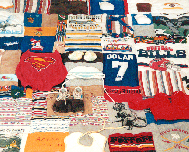 Prices range between 8 US Dollars to 9 US Dollars per clothing item.